Best-in-class manufacturers demand best-in-class sales teams…sales teams powered by insight and understanding of their client’s activity whether in the office or on the road. Aptean Sales for Process Manufacturing delivers a 360-degree view of customers, seamlessly linked to Ross ERP that outperforms generic sales solutions. 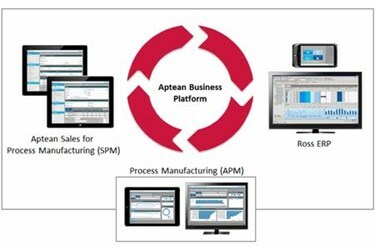 This provides a tailored integration that comes fully featured and designed specifically for process manufacturing sales teams.